Similar to Pho, there are three major regional variations of the banh mi. North, Central and South. 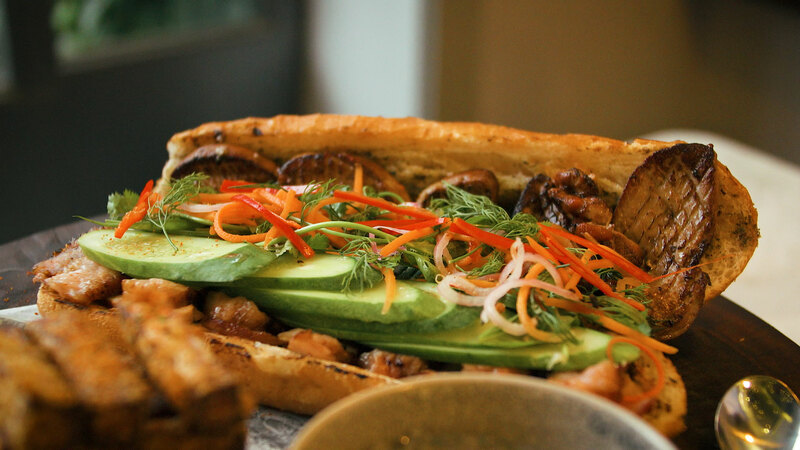 The Hanoi banh mi is more of a charcuterie driven, simple affair and relies heavily on the quality pâté and a few pork cold cuts such as steamed pork or cinnamon pork. The best Hanoi banh mi comes from places that are essentially charcuterie shops where customers come to buy the cold cuts as much as the banh mi sandwich. The classic Ho Chi Minh City version is everything in and stuffed to the gills with as many pork cold cuts as available and seasoned with everything from mayonnaise, Maggie sauce, chili and lots of spring onion, cucumber, pickled vegetable and fresh herbs. This is represented by places such as Banh Mi Huynh Hoa and Banh Mi Nhu Lan. The Hoi An banh mi such as banh mi phuong in the central is a different affair in that it relies more on cooked pork meats rather than cold cuts. It’s seasoned with pork sauces and the meats are stuffed into a tiny beautiful baguette, substantially better than those available in Hanoi and Saigon. In terms of balance of porky goodness with fresh herbs and chili heat all wrapped a crisp, light, warm baguette, the Hoi An banh mi is probably the best one you can find anywhere. The Anan banh mi is similar to the Hoi An style with mostly cooked pork products, but with a French twist. One of the wonders of the banh mi sandwich is that the Vietnamese can stuff all of that delicious porky goodness into a baguette that costs ~1USD. 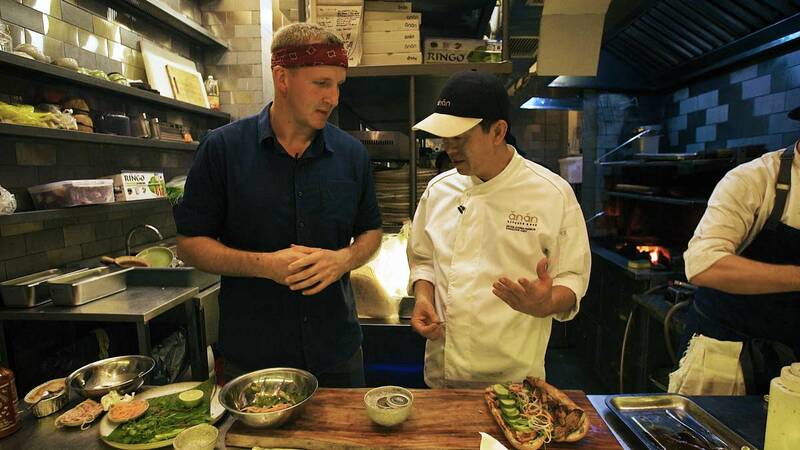 There is no way in hell anyone can compete with that and so Anan Saigon developed in partnership with the Best Ever Food Review Show to go with a decidedly different route: the 100 USD banh mi. Enter the Anan Banh Mi Đac Biet, featuring sautéed foie gras, grilled pork chop, sweet potato fries and black truffle mayonnaise. It also comes with a tin of Caviar De Duc and 2 glasses of Prosecco. For those of you wanting to order the banh mi, message or email Anan Saigon at hello@anansaigon.com with a one day advance notice.